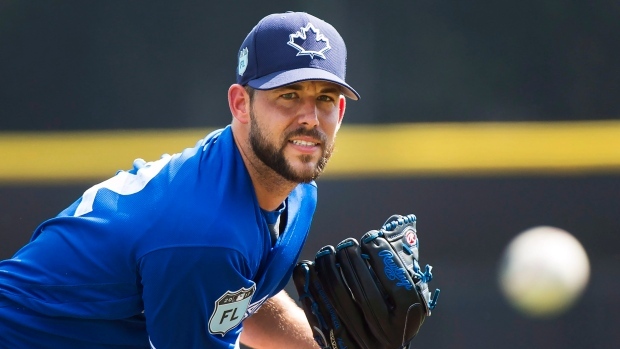 Toronto Blue Jays pitcher Ryan Tepera has been diagnosed with elbow inflammation and will see Dr. David Altchek on Saturday, while John Axford has a stress reaction in his elbow, manager Charlie Montoyo confirmed on Thursday. The news comes a day after the team announced that both pitchers were suffering from elbow soreness. Tepera has pitched seven innings this spring with a 7.71 earned run average and six strikeouts. Axford, who is on a minor league deal, has pitched 4.1 innings this spring with a 2.08 ERA and four strikeouts. Tepera has spent the past four seasons with the Blue Jays and finished last year with a 3.62 ERA and 68 strikeouts in 64.2 innings. Axford also spent last season with the Jays before getting traded to the Los Angeles Dodgers at the trade deadline. In 51 innings with the Jays, Axford had a 4.41 ERA and 50 strikeouts.